McLeod's Body Shop specializes in hail damage repair and paintless dent repair, which in the states of Kentucky, Ohio & West Virginia can come in handy. The Tri-State Folks are familiar with the spring and summer storms that can deliver large hail stones, which can do severe damage to your vehicle. The tri-state area is notorious for storms that produce large size hail. But it doesn’t require hail that size to harm your vehicle. Even pea-size hail can leave your car with hundreds of dents. The good news is, hail damage repair is likely covered in your auto insurance policy. McLeod's Body Shop can work directly with your insurance company to make the process as easy as possible for you. 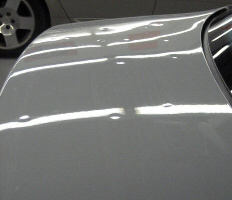 We have many years in auto body repair, and we know all of the latest paintless dent repair techniques to ensure we restore your car to look like new. 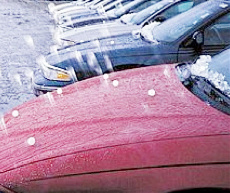 If your vehicle has suffered from hail damage, contact McLeod's Body Shop at 606-329-1616 today.